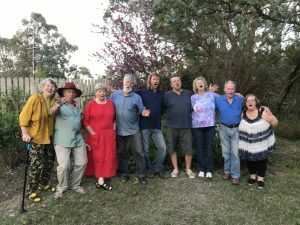 The Quaama Singers will “pop up” at various times and places around the Festival grounds on Saturday between 10.00 am and 2.00 pm. There’s also a stage performance on Sunday between 4.00 and 6.00 pm. Come and sing along to crowd favourites, beautiful chants and fabulous circle songs. No festival is complete without a rousing go at The Lion Sleeps Tonight and this is where you’ll find it!